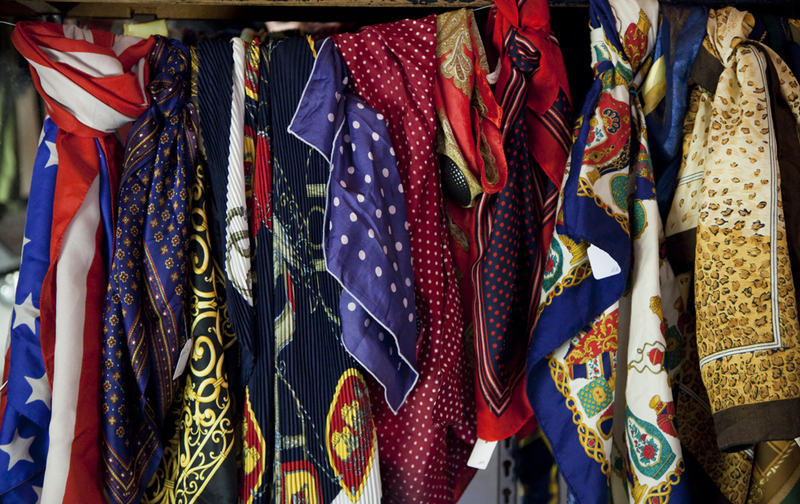 Thanks to the crop of easygoing vintage shops that have sprung up around hipster central Shoreditch, Spitalfields and Dalston, east London is one of the best places to find trend led thrift in the city. 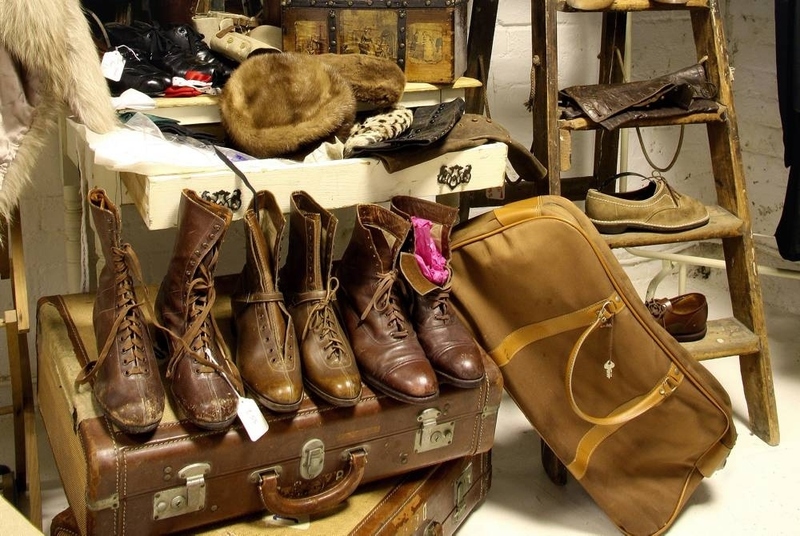 Absolute Vintage may be a stretch away from the crowds of Brick Lane, but that doesn't stop it filling up, and with its cluttered display of goods, browsing can get tiresome. However, clothes start from a fiver upwards here and you can easily throw together an outfit for under £100 - although you'd be wise to exercise some quality control. 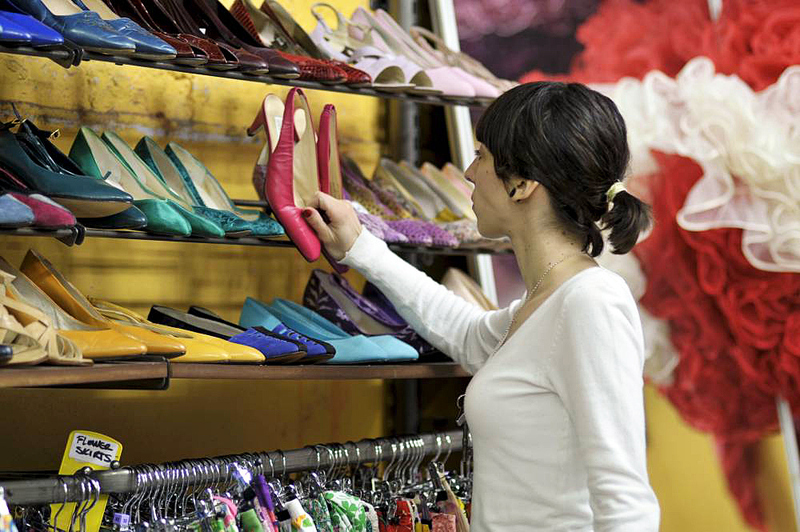 The cracked shoe soles and faded colours take some patience to sift through, and boots are overpriced at £50 or £60. But the quantity of goods makes up for the quality, and there's a great cabinet filled with hard to find Chanel bags. 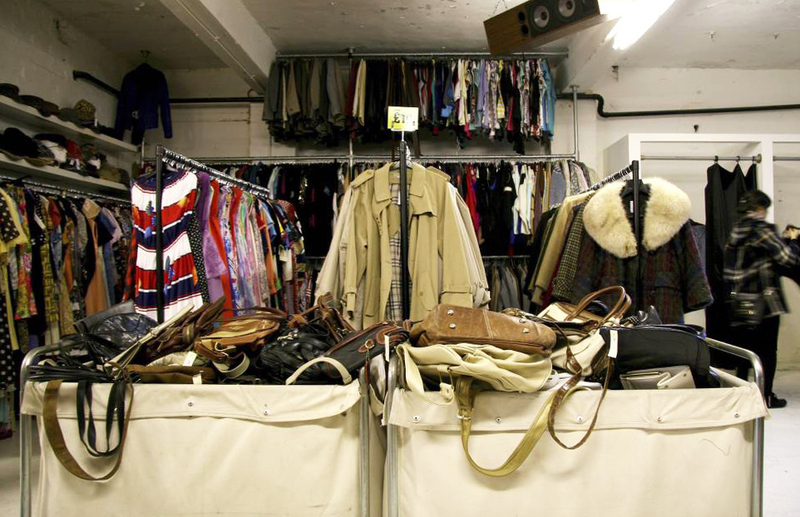 One of London's vintage originators, Beyond Retro is now a world leader in second hand retailing. It's actually a massive clothes recycling brand, which buys truckloads of charity clothing and exports it to the third world. 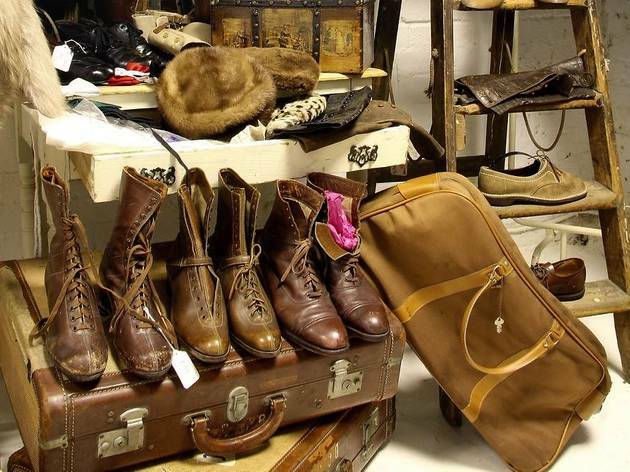 It picks out the best bits for its vintage stores, which are some of the most gargantuan in the capital. The original Cheshire Street branch is an old dairy, and has a cavernous feel to it, with armfuls of product merchandised by type - Hawaiian shirts here, dungarees there. Over in the new branch in Dalston, which is one of the largest vintage stores in the world, you'll find similar items but in a jazzier environment, with product filling every inch of a vast old factory, complete with a café and stage for impromptu performance. 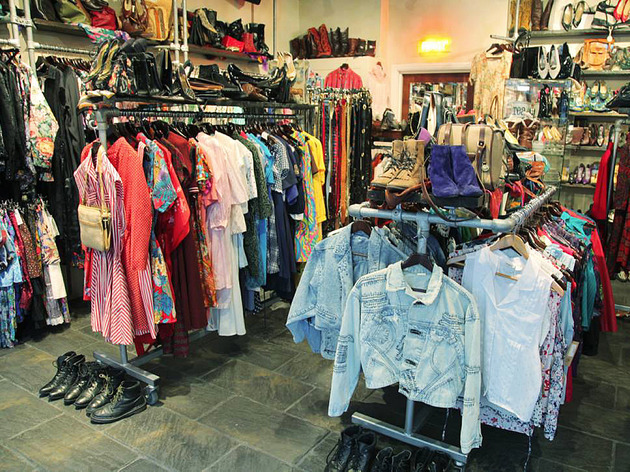 Blitz opened in 2011, and instantly put the other vintage shops in the capital to shame. This is a vintage department store, covering all floors of a glorious old furniture factory. The building itself is jaw-dropping, and has been renovated beautifully by the Blitz team. Floors are clearly merchandised with a furniture selection from Broadway Market's The Dog & Wardrobe, an accessories floor, a book collection and rails and rails of neatly presented fashion. Buyers Jan Skinners and John Howlin look to nearby Brick Lane for their inspiration, buying immaculate seersucker blazers, coloured denim, brogues and silk kimonos for their fashion focused clientele. The selection is all killer and no filler - and cleaned, steamed and folded before it hits the shop floor. The straightforward idea behind the EETS is to provide good value vintage - which is becoming a bit of rarity in the capital. The owners come from the Topman stable, and have a good feel for current trends. You'll find lots of vintage denim shirts for £15 and jackets for £25, as well as leather skirts and cheap £10 party frocks. To bring you prices this cheap, money has been saved on decor - by which we mean to say, there isn't any. But while the converted old Stepney warehouse isn't pretty, it is functional. The first floor now sells more expensive product and the odd designer piece. 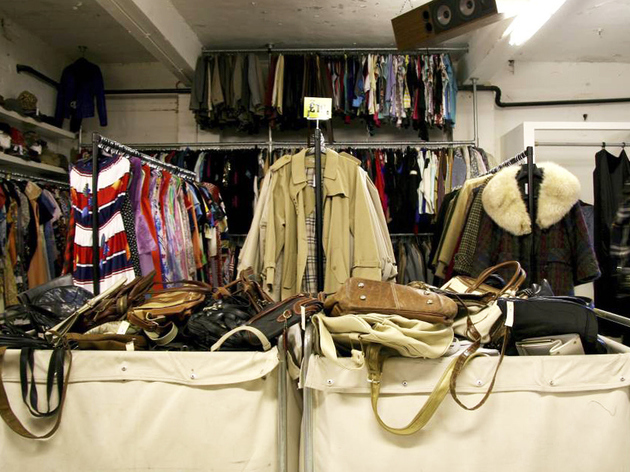 Join the mailing list to hear about frequent sales and super cheap jumble events. 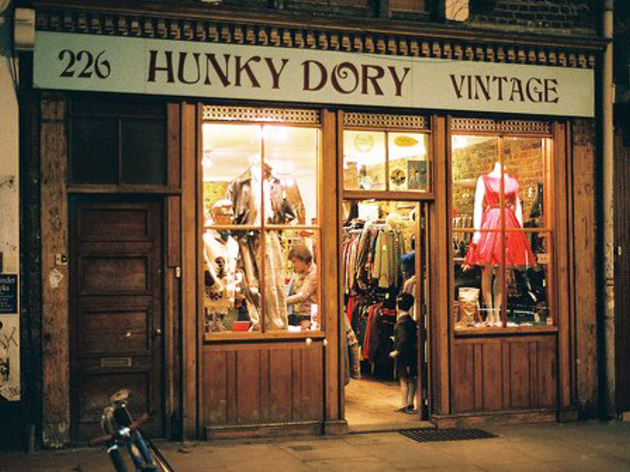 Standing in a prime location at the bagel end of Brick Lane, Hunky Dory is a well-presented, well-stocked, intimate little shop. 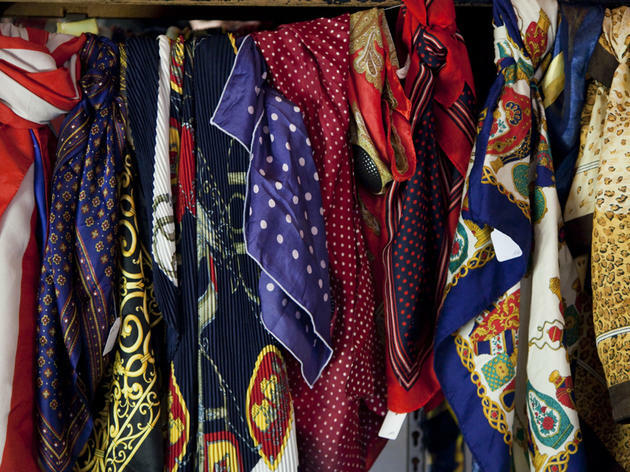 That means it can feel crowded, but everything is arranged by colour and garment, so it's easy to work your way around when you're looking for a particular style. 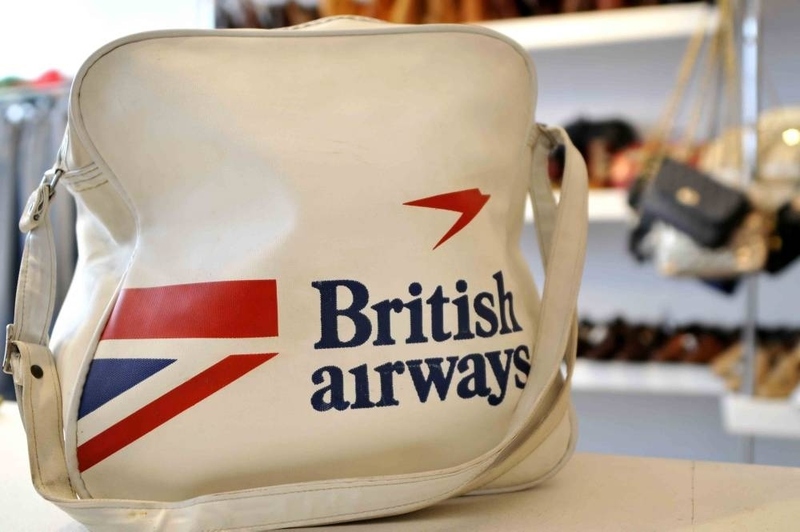 Prices range from £40-£150, but keep an eye open for sale pieces stuffed in the rails. As in most vintage stores, men are a little neglected, but there are two good rails of bloke stuff. If you can endure the loud, abrasive music blaring from either Rokits then you stand a good chance of bagging a bargain, because a lot of its clothes are £40 or under. Rokit isn't the industry star it once was, with its best product spread thinly across its many new stores, but there are still good pieces to be found. The chain also has its own line of vintage inspired garments - including Breton tops and jewellery - we rather like the gaudy leopard-head ring for £12. There's also a great selection for men at No. 101; half of the shop is dedicated to the male frame with denim jackets, coats and masses of jeans for him. 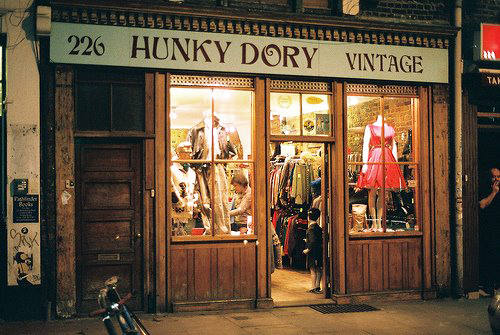 This is the contemporary branch of the trio of Hackney vintage stores run by Hoana Poland (see Strut and Stroll, North London), which opened in late 2011. This is where Poland places her most fashion-forward finds. 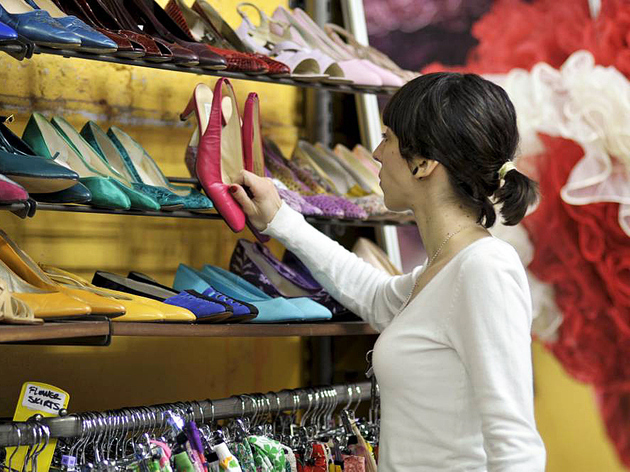 The store is non-vintage in its appearance; stock is merchandised sparingly, and the decor is icily modern. 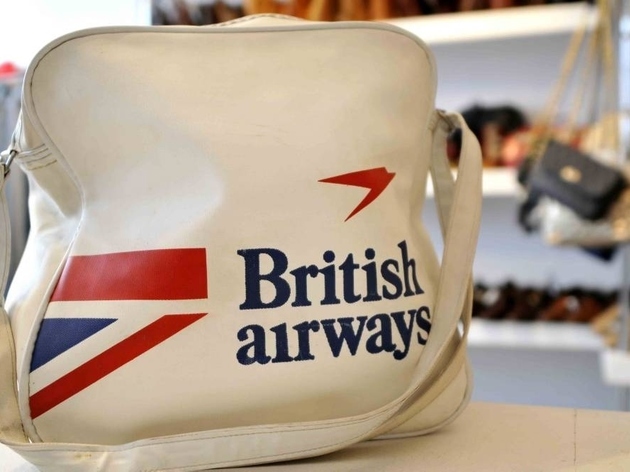 You ll find special garments by the likes of Comme des Garcons, Margiela, Moschino and Yohji Yamamoto here (priced appropriately, with designer jackets selling for £250). Much like its sister branches, Strut is special in that it crowd sources a lot of its product on Sundays and Mondays you can bring your own quality cast-offs into store. If they pass muster, you ll be given about a third of their re-sale value for them. Plonked down a street off Brick Lane, The Vintage Emporium just about stands out amid the graffiti and building work with its baby pink exterior and quaint tearoom filled with rickety furniture, bric-a-brac and cute iced cakes. Beyond the chintz, however, are some exquisite pieces of clothing, sold at a hefty price - we spotted a show-stopping beaded, '20s silk dropwaist dress for a back breaking £950. You're unlikely to get away with spending less than £100 here, but everything is original, rare, and very old - so you're paying the price of scarcity.